The divalent copper, cobalt, nickel and cadmium in addition to the trivalent iron complexes of the ligand named (E)-1-((4,6-dimethylpyrimidin-2-ylimino)methyl)naphthalen-2-ol were synthesized by the reaction of the ligand with different metal chlorides. The Structures and geometry of the metal chelates have been successfully deduced applying various analytical and spectroscopic tools such as elemental analysis, molar conductance, TGA, magnetic moment measurements, IR, 1H-NMR, EI-mass and UV–Vis spectral studies. The X-ray single crystal structure of the ligand has been also discussed. Spectral studies and analytical results supported the monobasic bidentate behavior of the ligand connecting the metal ion centers via deprotonated phenolic OH and imine nitrogen. In the case of Cu(II) complex, the pyrimidine nitrogen took part in coordination to the Cu center. The results ensured the monometallic character of the chelates having 1:2 (M:L) ratio for copper, cobalt and nickel and 1:1 (M:L) ration for iron and cadmium complexes. The molar conductance data ensured that all the metal complexes are non-electrolytic type of complexes. All the complexes have been proved to have octahedral geometry. 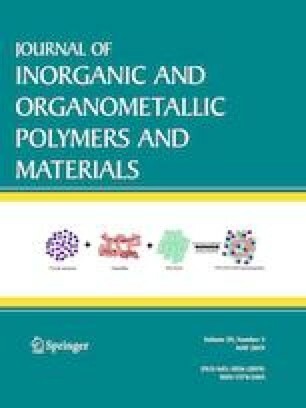 The antimicrobial activities of the synthesized metal chelates were evaluated against different bacterial and fungal strains. The synthesized ligand and its complexes were also examined as inhibitors for the corrosion of mild steel in 1.0 M H2SO4 at 25 °C using various techniques. The experimental outcomes indicated that the inhibition efficiencies of the tested compounds increased as their concentrations increase. The obtained inhibition efficiencies were interpreted on the basis of strong adsorption of the inhibitor molecules on the surface of mild steel and composing good protection films. The adsorption was found to obey Langmuir adsorption isotherm. The results achieved from all applied techniques are obviously compatible. The online version of this article ( https://doi.org/10.1007/s10904-019-01153-9) contains supplementary material, which is available to authorized users.